I rarely go to the Strip to eat because highly priced foods are served everywhere. My income as a college student won't allow me to splurge much! 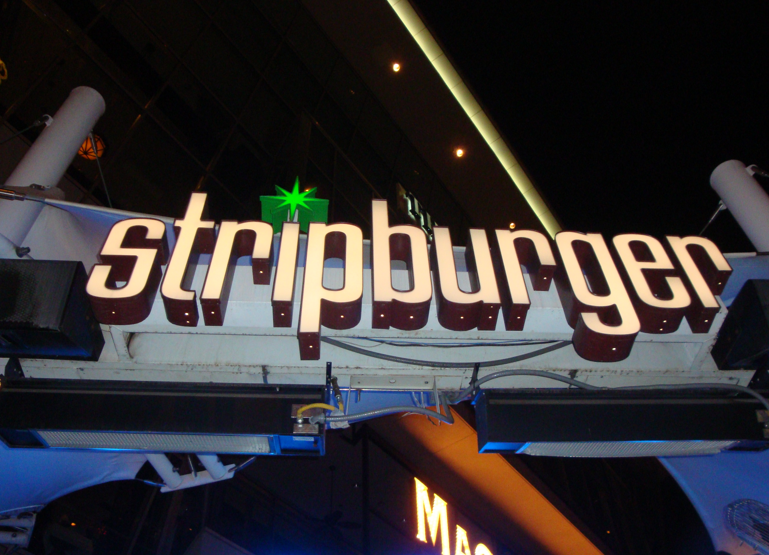 So as much as possible, I'll eat somewhere with quality and reasonable prices, like Stripburger! 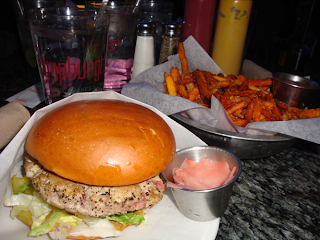 I hadn't had a fish burger in awhile so I tried the Ahi Tuna Burger - comes with a big slice of avocado and pickled ginger. Just biting into the fat patty I could tell that it wasn't a 'fast food' type of burger, it tasted fresh enough to me. My aunty agreed with me by saying that her hamburger was really good 10+ times during and after dinner! I look forward to trying their other hamburgers the next time I pass by.